Save up to 80% on pre-owned Datex/Ohmeda: 5250. • Utilizes new electroluminescent display and infrared touchscreen control technology. 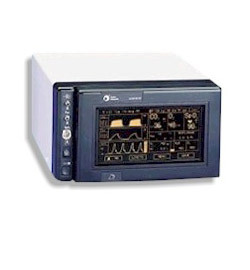 • One compact panel integrates data display, control, alarm, and message management system. • Display panel lifts off the monitor for convenience.